It's a crime to toss a banana at the first sign of a brown spot. You can freeze your fruit or let it get overripe and sweet, but either way, use it in these delicious recipes! Bananas are the Swiss army knife of the culinary universe, the jack of the fruit trade. This scrumptious yellow fruit can be eaten alone, sliced into other foods, mixed into ice cream, blended into smoothies, and added to myriad baked goods recipes. If there's a fruit that's as versatile, as universally loved, and as ubiquitous as the almighty banana, I haven't heard of it yet and, quite frankly, I don't even care! Bananas were one of the first foods you probably ever ate, but if you think you've outgrown them, you should reconsider. If we take their low cost into account in addition to how nutrient-packed, tasty, and rich with energy bananas are, they stand out as the one healthy snack to rule them all. If bananas have a downside, it's that their exterior can get, shall we say, unappetizing in the blink of an eye. I've heard about some people actually disposing of bananas at the first signs of spotting—the horror! Rather than doing something so barbaric and wasteful, why not use your overripe nanners to concoct guilt-free noms? And since we're all fit-minded folks here, they'll pack heaps of protein as well. Potassium for optimal brain, cardiac, and muscle function. Manganese for healthy bones, tissues, and blood pressure. A non-irritant of the gastrointestinal tract thanks to dietary fiber. Bananas are often included as part of a diet called BRAT for people with GI issues. Vitamins B6, C, and other antioxidants for a healthy immune system. Carbohydrates for pre- or post-exercise fueling. Banana bread is a timeless way to dispose of ripe bananas, but old-school banana bread recipes are often riddled with staggering amounts of sugar and butter. 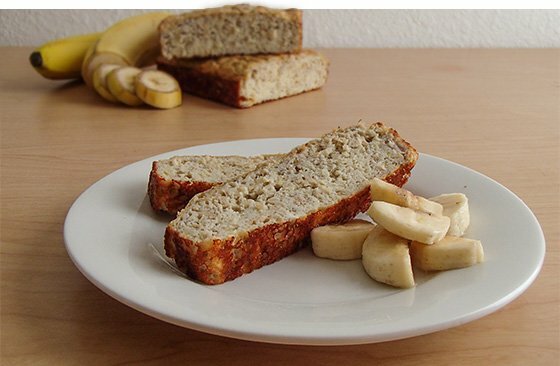 This au naturel banana bread, inspired by Protein Pow's protein-baking wizardry, will taste so banana-y and delicious that you wouldn't believe it's not terrible for you. Whaaaat? Two ingredients are really all you need to satisfy a hankering for some flapjacks—who'da thunk it? The lack of flour and other pancake recipe staples might seem alarming at first, but I promise you everything will be OK in the end, especially once you throw peanut butter or sliced bananas on them. 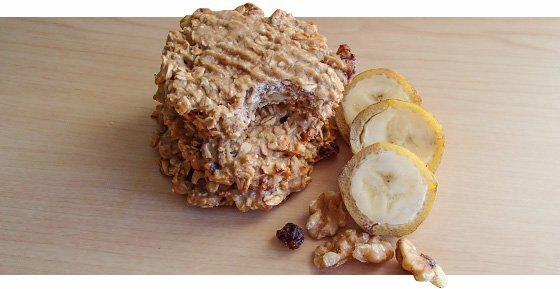 You really need only two ingredients to form the foundation of this cookie, but you can add additional items like protein powder, raisins, cinnamon, walnuts, and whatever else you need to imitate your favorite type of cookie. When in doubt, toss your bananas into the freezer. Seriously! By doing this, your bananas never go to waste. Frozen bananas can always come in handy when you want to make something cold and sweet like this amazing and simple frozen yogurt recipe. Fluffy, decadent, chocolatey, and quick—these are just some of the winning ways to describe this money dessert. You don't even need an oven. Just use a microwave and about 5 minutes of your time.